The Legendary Sage Post occasionally gets a Star Stone during the adventure event, after aged he used the treasure and source of Star Stone to build an independent academy, Star Academy at Western Coast with his four apprentices. To protect and investigate the world law that keep in the Star Stone. As time goes by, Star Academy become stronger with the assistant of Star Stone, its power can fight against country, and it’s always neutral. Lots of heroes gather at Star Academy, and it has invented into City of Sacred Heart. City Of Sacred Heart located in Western Coast, there are boats to the Moonlight Coast. Most of the citizen is the apprentices of academy, and minority of scholars and messengers of other country. At the same time, Sacred Heart City has the biggest auction, “non-refundable” auction. Moonlight Coast located in Southern Coast and it is the linking hub of Sacred Heart City with Eastern Countries. According to legend, Cynthia ever fell to this place when Ancient World War. Her power shaped the mountain into a crescent moon bay. This place is scenery and peaceful. Excluded the fishermen, there are also some Adv. Caster who came to investigate the Luna. A small village that located in the edge of Liber Country, although the distance is quite far. It becomes famous due to Sage Phoebus, one of the three sages that save the world, was live seclusion in here. Lots of adventurer came for him, and it brings the village lively but also the obstruction, so that, the follower of Sage Phoebus, Colin becomes the cruiser of Waterfall Village to keep the peace. The famous person after Sage Phoebus is a traveller from somewhere. He called himself a Tomb Robber, he is expert in locating tomb and treasures. 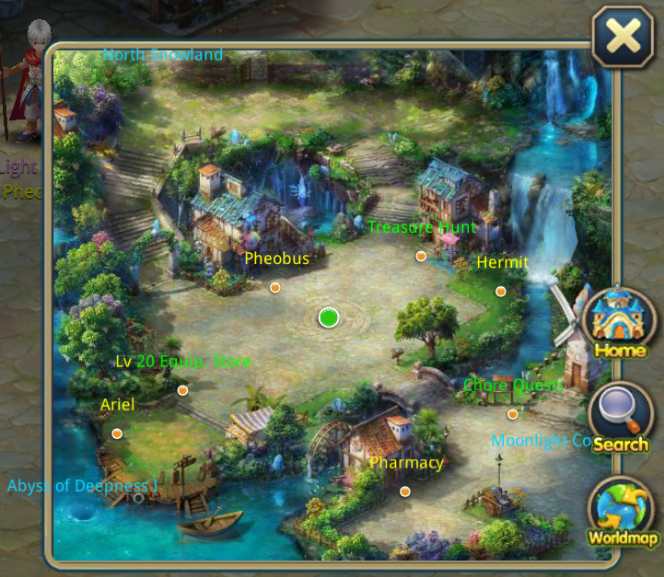 If players will spend a little money to him, players can get the clue of treasure map from him. 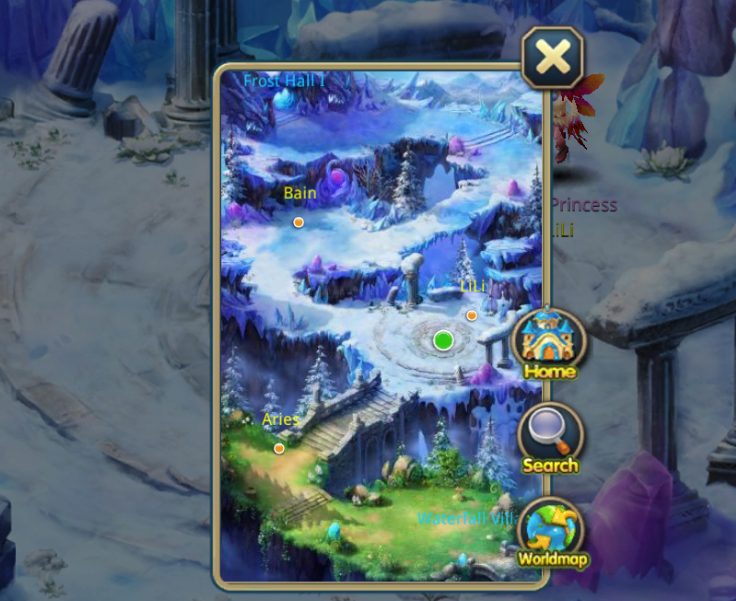 And if players gather all 4-treasure, players can exchange the Ancient treasure map with him. 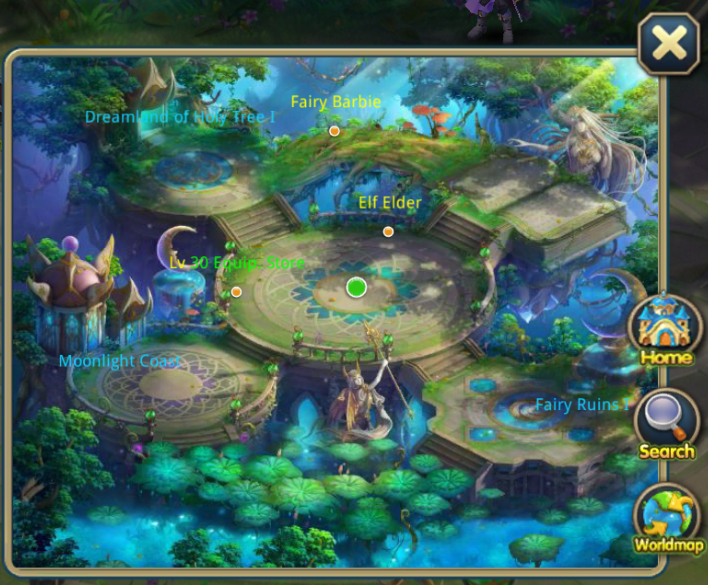 Elf Forest located in East South, innumerable giant trees and all creatures live peacefully. It is claimed as the precious gift for World of Stars that given by the natural. 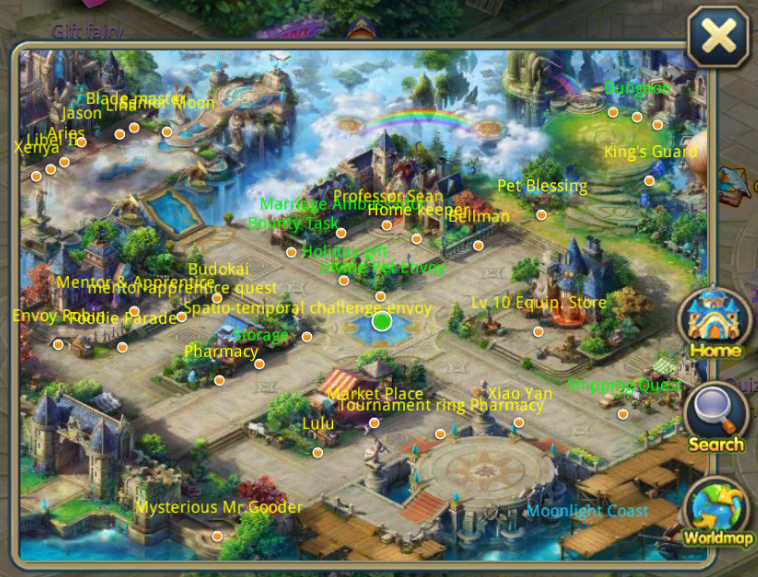 After Ancient War, Elf Kingdom which ever ruled the half of land has fallen apart. 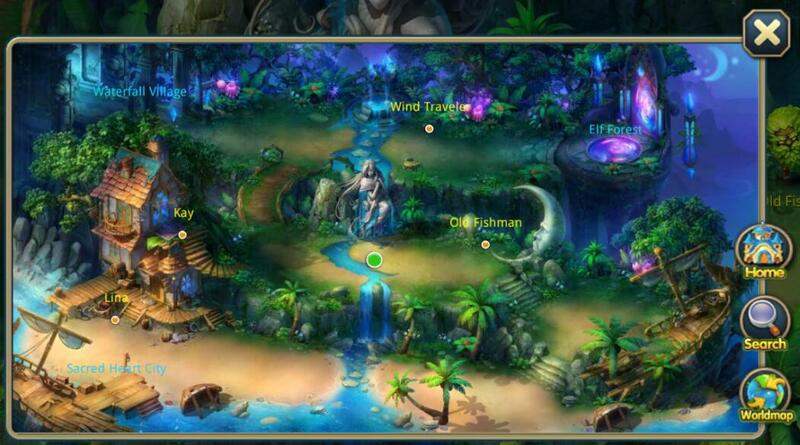 The royal have retreat from there and live in seclusion, that’s the origin of Elf Forest be named. Retiring elf doesn’t want to have contact with outside, whereas the approaching of Doom Army has forced them to cooperate with other forces to fight for their survival rights. But now, they only open a small part area for elders and periphery members to welcome the guests. At the most north of the land, the towering mountains have been whitening by the snow. The view is beautiful, but the cold wind and biting cold kill the interest of people going to there. Those survive elves escaped to Northern Realm after Ancient War, have brought the place to life. Time flies, the elves have evolved to Ice Fairy, and there’s new resident for the Northern Realm, reculsive Taurens and the pioneering royal of Liber country.